Far From the Madding Crowd is a beautiful period piece, technically proficient on every level. The sweeping landscapes as shot through the lens of Dogme 95 co-founder, Thomas Vinterburg’s lens evoke a feeling of wonder bolstered by a sense of reality that draws the viewer into the setting. Never does the film feel, as similarly set films do, like a group of actors playing pretend. 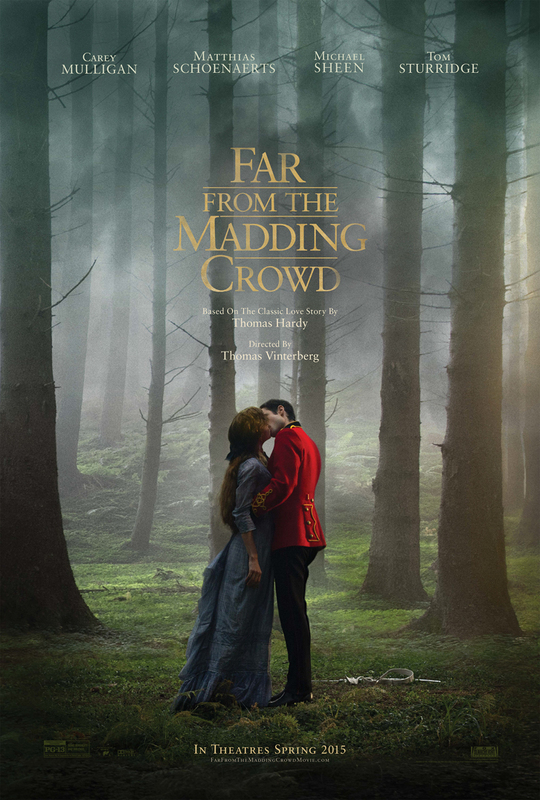 Sadly, the story is so blandly dumb, the characters so hollow, the message so convoluted and self-contradictory, that Far From the Madding Crowd offers little beyond surface-level pleasures. I’m tempted to blame the source material. Not that it’s bad (having not read it, I really can’t judge), but more that it doesn’t lend itself to adaptation. As unfamiliar as I am with the novel, originally released as a serial in 1874, it’s easy to see that a lot was excised to get this beast down to two hours. As a result, we lose almost all semblance of logical character motivation. Had this been a miniseries, the story could have easily been a wonderful saga of romance and betrayal, but as a two-hour movie, there isn’t enough time to earn any emotional turns, reducing each plot development from a revelation to a hackneyed twist. Furthermore, it’s tough to form an emotional bond with any character when it’s absolutely impossible to determine how much time has passed between each scene. Characters will make life changing decisions seemingly on the fly, and it’s only much later that becomes clear that months had passed without indication. This causes our hero, who begins the film as a strong woman way ahead of her time in the best ways imaginable, to end up just another emotional cliche who moves through life reacting irrationally to a never ending series of infatuations. It’s upsetting, especially at a time where female characters are becoming part of a bigger cultural conversation, to see such a wasted opportunity. And she’s not alone in her behavior. Every character in the love quadrangle behaves similarly – they fall in love simply because, and when the romance we’re supposed to root for begins to bloom, the only reaction imaginable is “meh”. The performers all do very fine work, but each are limited by the trappings of their characters – put Dustin Hoffman in the Phillie Phanatic suit and it’s still just the Philly Phanatic (although I can’t imagine Hoffman would be able to ride his quad with any authority). After being absolutely floored by Vinterburg’s The Hunt, I was very excited to see what else he was capable of, and from a technical standpoint, he delivered. I just wish he wasn’t limited to a one-off affair. Far From the Madding Crowd simply isn’t meant to be told in short form, and it shows. Then again, the elderly couple sitting behind me were positively swooning the whole time, so maybe I’m just a cold-hearted jerk. 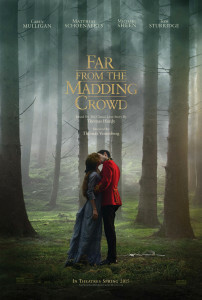 Far From the Maddening Crowd opens in Philly area theaters today.